The Aegean Sea, the Cyclades and for example Kea sailing vacations are great for the more experienced bareboat sailors or for people who wish to visit the lovely islands of Mykonos, Tinos, Andros, Kythnos, Delos and Syros on crewed charters. In the more open waters of the northern Cyclades the forces of Nature can be already felt, although these sailing grounds are not as advanced as near the southernmost islands of Santorini, Folegandros, Melos, Astypalea, Paros and Crete. Kea sailing and yacht charters is not arranged on the island itself but through the yacht charter bases in the nearby ports of Poros, Athens and Lavrion. But Kea island is well known as the gateway to the Cyclades and is often the first stopover when sailing from Athens to Paros (a popular oneway charter). From Sounion and Lavrion to Kea is even shorter! Although the waves and winds can be force to be reckoned with in the Meltemi season, the weather is usually well forecast and the few Meltemi days will rarely spoil your sailing vacation. Moreover, as these winds pick up during the day you could well have reached your next destination simply by hauling up the anchor at dawn. On the whole there is a much greater issue for which you should avoid August, namely, the explosion of tourists in August (the main tourist season). Skippered yacht charters on regular sailing yachts, ranging from 30 feet to 70 feet, usually the well known Jeanneau Sun Odyssey, Ocean Star, Bavaria, GibSea, Dufour, Beneteau Oceanis yacht ranges. A cook or hostess is optional. Fully crewed luxury cruises on super yachts & mega yachts, which are very popular for the Cyclades / Kea sailing vacations. Many super yachts and mega yacht can be chartered out of Athens. ASA or RYA sailing lessons with an instructor onboard from the nearby RYA and ASA sailing schools. 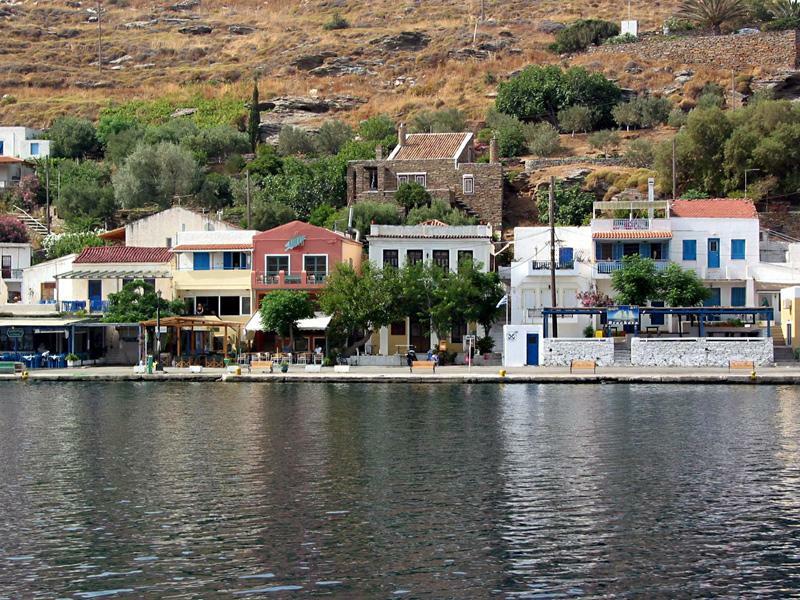 The main port on Kea is Korissia at the Nikolaos Bay along the north-west coast, which also harbours the port of Vourkarion. Several bays and anchorages are of interest for your Kea sailing vacation. Notably, Orgias Bay, Kalidoniki Bay, Pisa Bay, Kavia Bay and my favourites because of its splendid isolation: Polis or Poleis Bay along the south-east coast of the island.
.: Back to Kea sailing :.